HBO made its announcement with a YouTube video posted last week. The service will be available for iOS and Android devices. The HBO promotional video suggests May 2nd as a launch date. The press release specifies that HBO GO will be available to HBO subscribers through Comcast XFINITY TV, Verizon FiOS, Cox Advanced TV and AT&T U-Verse customers. Surprisingly, Time Warner Cable is not currently included in the list of providers (HBO is owned by Time Warner). HBO was in the news earlier in the year after senior vice president of corporate affairs, Jeff Cusson told The Hollywood Reporter that HBO “has no intention of making its content available for streaming on Netflix,” adding that the company “believes in content exclusivity, especially for high-value content.” It looks like the new capabilities of HBO GO support that strategy. According to Business Insider, “kids are leading the world’s transition to digital media” — and if we want to stay in step with the latest (or emerging) media consumption trends, we’ll need to pay close attention to what children are doing. The Kaiser Family Foundation has released the results of a comprehensive survey of more than 2,000 families. The report features some compelling information regarding the media consumption habits of 8-18 year olds — in addition to some pattern changes that have evolved since 1999. The survey indicates a number of interesting trends that may impact the future of media delivery, such as: TVs remain on during meals in 2/3 of households, TVs are on when no one is actively watching them in 3/4 of households, only 1/3 of households have media-consumption rules, and more than 70 percent of kids have TVs in their bedrooms. Not surprisingly, children are consuming less print media and much more digital media (and they are increasingly consuming multiple forms of media simultaneously). TV viewing by platform in a typical day: Live TV (59%), Mobile (12%), DVD (12%), Online (9%), On Demand/DVR (8%). Recreational computer time in a typical day: Social Networking (25%), Playing Games (19%), Video Sites (16%), Instant Messaging (13%), Email (6%). Music consumption by platform in a typical day: 29 percent iPod, 23 percent Computer, 23 percent Radio, 12 percent CD, 12 percent Cell Phone. Click here to access the complete Kaiser Family Foundation report and related information including a news release, podcast, webcast and more. Click here to flip through the Kaiser Family Foundation slide presentation of charts and related information posted by Business Insider. We recently reported that a new premium VOD service from DirecTV was in the works that would make movies available in the home shortly after their theatrical release. The Hollywood Reporter now says 23 industry leaders — including Peter Jackson, James Cameron, Michael Bay, Michael Mann and Kathryn Bigelow — have thrown their support behind the National Association of Theatre Owners (NATO) by signing an open letter in opposition of the new distribution model. NATO is running the letter this week in Variety at the same time the new VOD service — dubbed Home Premiere — is launched (the first available title will be Sony’s “Just Go With It”). According to DirecTV, new movie releases will be available in 1080p HD for $29.99, months before they are available on Netflix, DVD or Blu-ray. THR reports that theater owners are threatened by this proposal and what they see as a disruption to a proven distribution model. The directors and producers who signed NATO’s letter do not believe a premium VOD service will solve slumping DVD sales, and could negatively impact the platform release patterns of specialty films and lead to additional piracy issues. 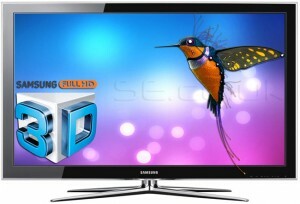 IPTV News interviews Vassilis Seferidis, director of business development at Samsung Electronics, in this interesting article regarding the direction of 3D TV. Based on recent market growth and the update of 3D TV channel subscriptions, Seferidis believes consumers have no hesitation in enthusiastically adopting 3D TV. 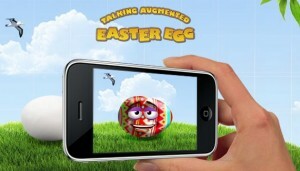 He adds that the fundamental obstacle in moving forward at this point is the availability of 3D content. Seferidis is slated to deliver a presentation in mid-May at the 3DTV World Forum in London’s Thistle Marble Arch Hotel. According to Flickr’s “camera finder” feature, the iPhone 4 is heading towards becoming the most popular “camera” used to submit images to the photo-sharing site. Is the iPhone (and other smartphones with improved camera features) disrupting the point-and-shoot market? Flickr’s camera finder provides a graph detailing the most popular cameras in the Flickr community, with the Nikon D90 currently at the top. However, the iPhone 4 is on the rise, while traditional point-and-shoot cameras are steadily declining. 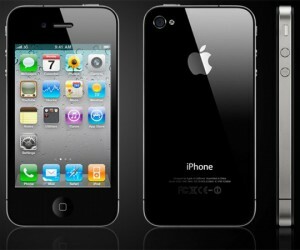 If the trend continues, the iPhone is poised to take the lead in the near future. This isn’t the first time a phone may prove more popular than a traditional camera on Flickr. PC World reports that in August 2009, the iPhone edged by the Canon Digital Rebel XTi as the most popular (back when the best iPhone camera only featured 3.2-megapixel resolution). Premium VOD: New Distribution Model from DirecTV? The nation’s No.1 and No. 2 satellite TV providers may be looking for new ways to provide movies to consumers. Dish Network (No. 2) recently purchased the assets of bankrupt Blockbuster for $320 million and may use the company’s online streaming service to take on video rental enterprises such as Netflix. Meanwhile, DirecTV (No.1) is reportedly in talks with Hollywood studios regarding a new movie rental service that would provide $30 rentals just two months after films’ theatrical releases. Studios that are looking to combat slumping DVD sales believe that some consumers, especially families, may be willing to pay the higher fee for access to titles prior to their availability on DVD or from services such as Netflix. Analysts explain that movie studios are open to new online streaming or pay-per-view models in order to recoup revenue from declining DVD purchases. We may also see $30 premium movie-on-demand offerings from cable firms such as Comcast and Time Warner Cable. Digital Everywhere is not a retailer like iTunes. It gathers the many ways a consumer can rent or purchase movies and organizes an individual’s library of movie titles and TV programs. It then provides access to this library from any Internet-connected device through the cloud authentication system known as UltraViolet. If the Warner Bros. app delivers all that it promises, and movie fans respond to the cloud integration approach, we could be on the cusp of experiencing a significant change in how we access and manage our digital media. 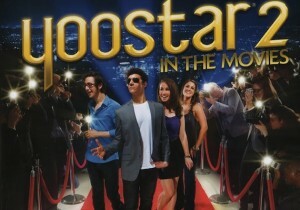 The movie karaoke game, Yoostar 2 is designed to put players in scenes from their favorite movies and TV shows, enabling them to “perform” with professional actors. Users can then post the resulting video clips on the Yoostar web site, or social networking sites such as Facebook and Myspace. Yoostar 2 for the Xbox 360 Kinect and PlayStation Move was released last month. The connectivity between gaming and social networking could mark the first step toward an experiment that might soften the tension amongst developers in the two arenas. Steinberg provides an interesting six-minute video report from the Yoostar offices in Santa Monica, California that includes interviews, demos and footage from the game, and of particular interest, the technology used to eliminate the need for green screen. 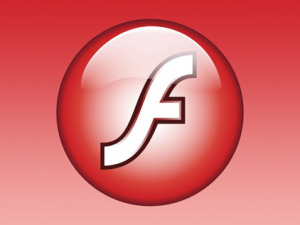 Adobe previewed its new video streaming technology at NAB, built on the Adobe Flash Media Server. The new features and capabilities are designed to help stream protected video to mobile devices such as the Apple iPad and iPhone, Motorola Xoom, Samsung TVs and Atrix smartphone. You can check out a seven-minute video demo on the Adobe blog. London-based Autonomy has created a new technology that turns static images into animated images. The prototype technology, Aurasma is targeted at powering apps for iPhone, Android, and related devices. Early demonstrations illustrate how users can aim a smartphone or tablet PC at an image from a magazine or product and convert those images into animation. Imagine the possibilities of turning a picture from a newspaper into a video — or pointing a device toward a product and launching a game with animated characters. Aurasma, according to CNET, “is capable of recognizing images and objects and enhancing them not just by replacing them with video but by allowing virtual objects to interact with real ones, such as a cartoon character walking through the door of a real building.” The technology could offer interesting possibilities for advertising applications, providing additional product information, creating virtual tours and much more. The New York Times reports that Autonomy plans to release Aurasma as a free app as soon as next month. The article also suggests an unnamed movie studio will use the technology for an augmented reality game to accompany a new movie release. For additional information, CNET has posted a 12-minute podcast interview with Autonomy CEO Mike Lynch. There is also a video demo available on YouTube. Businessweek reports that the entertainment studios lose more than $6 billion a year to movie piracy (according to a report by the Institute for Policy Innovation) — and that media piracy has become big business for organized crime. For example, the Los Zetas drug cartel of Mexico earns a reported $1.8 million a month through its “side” business of pirated music and DVDs. Some groups — including Los Zetas — even stamp their products with gang logos before distributing them to public markets. The article cites an array of international drug smugglers and crime rings based in Russia, Mexico, China and Ireland that have made trafficking counterfeit entertainment media products a highly lucrative enterprise. The MPAA explains that some of these criminal elements have found significant success with online efforts, creating rogue websites that look so professional they’ve been bold enough to sell advertising on them. In these cases, pirated movies are streamed from the sites for free while the criminals earn revenue from the advertising. The MPAA is reportedly lobbying for passage of new U.S. legislation to combat such enterprises. Wired comments on the demise of the Flip camcorder and questions what could have been done to possibly revive Cisco’s $590 million investment in the no-frills digital video camera (Cisco purchased Flip-maker Pure Digital in March 2009). Wired reports that in the wake of company earnings falling 18 percent in the second quarter of 2011, Cisco will pull the plug on Flip. In related news, The Wall Street Journal reports Cisco CEO John Chambers has announced a strategic shift at the company that will involve stepping away from consumer-targeted brands and returning to a focus on corporate customers and service providers. 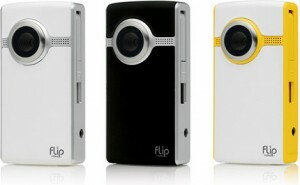 Flip cameras were all the rage in their heyday and spawned a number of similar products from the likes of Kodak and Sony geared toward consumers who wanted to shoot simple video and easily upload clips to the Internet. An unanticipated result of the camera’s portability and durability included uses such as capturing extreme sports footage and gathering b-roll for broadcast news. Affordable mounts for helmets and motorcycles soon emerged, as well as waterproof casings for recording underwater footage, increasing the line’s popularity. So what happened? Wired suggests that once iPhones and Android phones started offering improved camera capabilities, including HD video recording, the Flip cameras started down a path of redundancy. Second, came the shift to real-time social networking — and without an Internet connection, Flip had trouble competing with other connected portable devices. 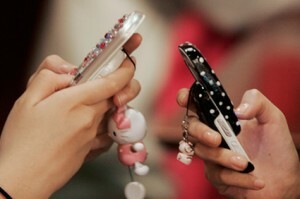 Consumers began to expect immediacy in terms of media interaction and the ability to post their own content on-the-go. A Wi-Fi or 3G connection may have been the first step in keeping the Flip alive, but in today’s market it would probably also need a touchscreen with apps to compete. Rob Woodbridge of UNTETHER.tv hosts a three-person online video panel for Episode 12 of his site’s program, The Week in Mobile. The informal 56-minute discussion provides an interesting take on how mobility is shaping content consumption — with a focus on “The iPad Effect” and its rapidly developing impact on the PC industry. Additionally, as PC makers are being adversely impacted by the growing success of the iPad — not only with tablet sales, but in regards to laptops and desktops sales — another result may be the surprising “stealthy” success of MacBook Airs (for which the panel credits the proliferation of apps). 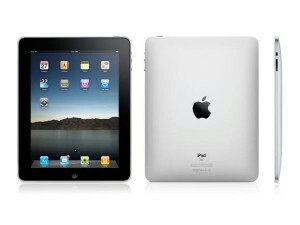 According to Fast Company, the Air grabbed 15 percent of of the total notebook sales for the last quarter of 2010. The discussion also addresses mobile privacy abuse in a new era of apps and Amazon’s concern regarding the consumer power enabled by NFC wireless technologies. 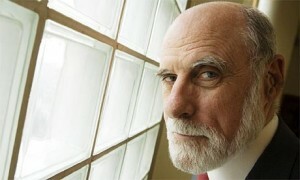 Computer scientist, technology pioneer and chief Internet evangelist at Google, Vint Cerf addresses the current state of innovation in the U.S. and what he sees as the necessary steps in moving forward. Cerf suggests our educational programs are deteriorating and that our culture places more emphasis on entertainment and sports figures than it does on scientists and engineers. To foster innovation, he sees a need to revitalize our K-12 educational system, create national recognition for scientific achievement, and devise an effective plan for attracting the best talent from abroad. 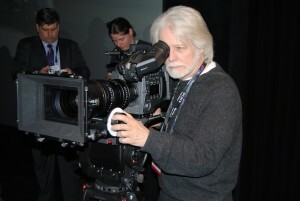 Sony unveiled its new F65 CineAlta digital motion picture camera at an NAB press conference in Las Vegas this week. The F65 camera features a 20.4 megapixel, Super 35mm CMOS sensor, a significant jump from the F35’s 12.4 megapixel 1080p CCD. Is this another step away from film as a motion picture medium? Pictured on the left is Curtis Clark (ASC) who directed a 4K short with the new camera, that is being shown at NAB. Sony also announced 2 new professional 3D cameras at NAB (and for consumers, the company announced the 3D Handycam and 3D Bloggie cameras at January’s CES). The Photography Bay write-up includes video coverage of the NAB press conference and behind-the-scenes footage with Curtis Clark directing a 4K short with the new camera.